It's asclepias season. 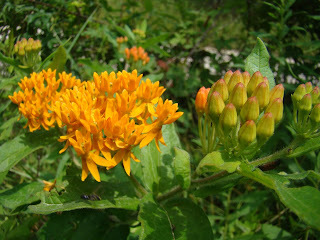 This is Asclepias tuberosa - a close relative to the common milkweed [A. syriaca]. They love the heat and all those shades of orange next to the daisies make me really happy. My favorite ones have stripes in the petals. 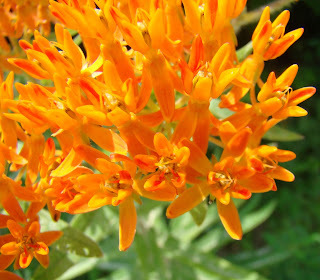 This plant was named after the Greek god of medicine - Asklepios. 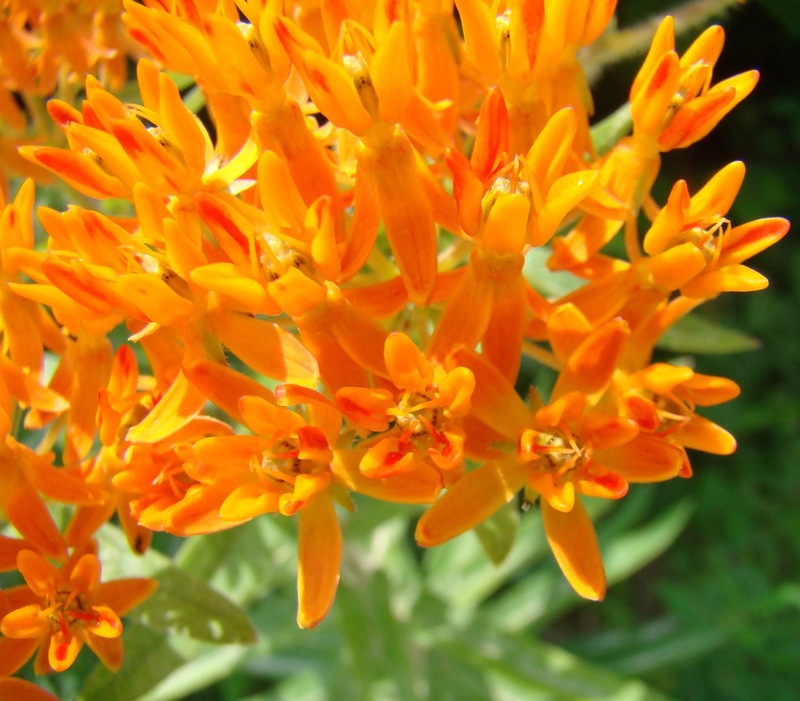 The common names for this plant are Butterfly Weed and Pleurisy Root. The butterflies and bees love them, so there's always a lot of motion wherever they are. Traditionally this plant was used to treat asthma and bronchitis, but modern medicine hasn't found any evidence that this plant is really effective that way. 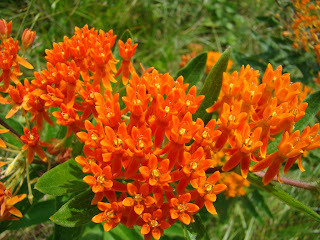 No matter, they are beautiful in the gardens and fields and that's good enough for me.